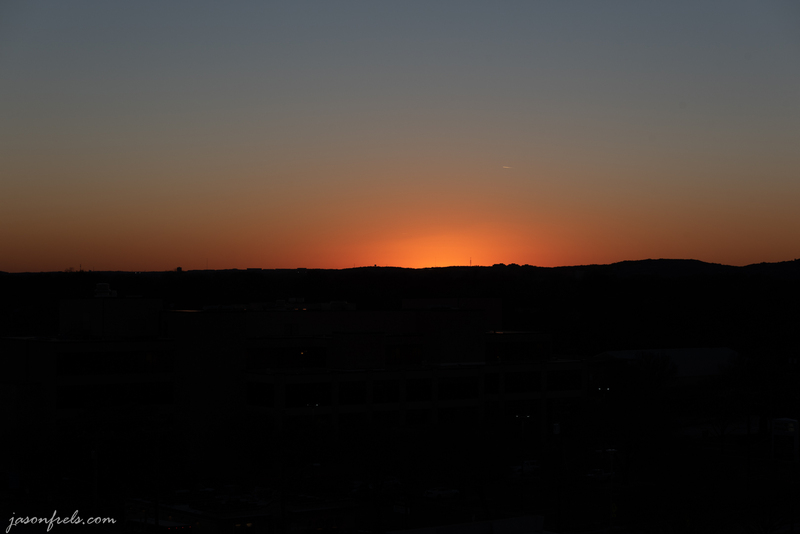 As I mentioned previously in this blog, I have an idea for getting a silhouette of downtown Austin with a nice sunset. I have yet to really find the perfect location for this nor have I been downtown to shoot photos on a good sunset evening. But, I did mess around in Photoshop and try to conceptualize what I wanted with some images that I took last month. I decided to work with the following two images. This gives me downtown and a bright orange sky without clouds. I would really like the clouds, but I have not been successful in timing that yet. I opened the two images as layers in Photoshop and found that it was very easy to select and mask out the sky in the first picture and then move and stretch the second picture behind it. I also dropped the exposure of the first picture down to almost a silhouette. I then brought this back into LightRoom and spent a bit of time working on the bright reflections on the buildings. I also made a few things go away that I didn’t like. Below is my final crop. This is a fake, but I kind of like the way it looks. It is kind of what I had in mind except I need clouds. I am still trying to get that real picture, but maybe this will do until then. I am also getting good at spelling ‘silhouette’. 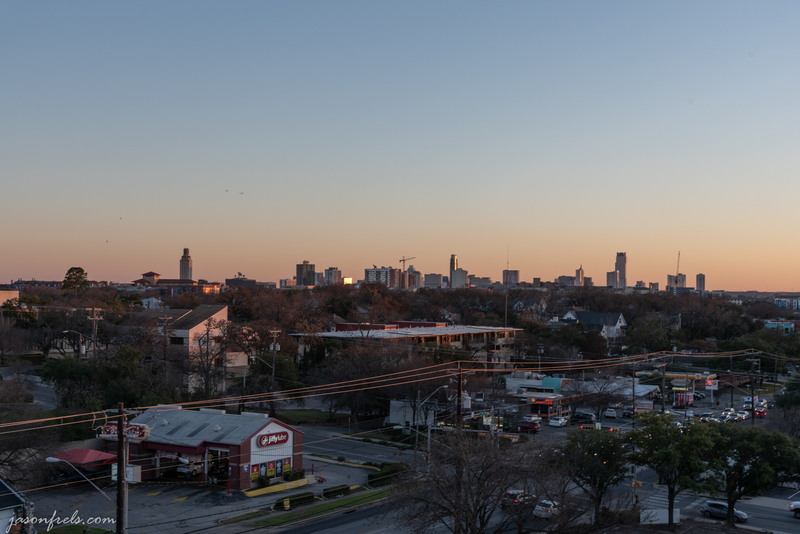 Love the ‘fake’ Austin Skyline. It can easily be mistaken for a real one. Good for you! Have you tried turning an ND grad filter upside down so that the exposure of the lower part, i.e the buildings, is reduced but the sunset is unaffected?